Really quite an impressive low-cost smartphone with a lot of bang for your buck. Arguably one of the best budget handsets on the market thanks to Samsung's mastery of Super AMOLED display technology and some sterling battery performance, both of which put it ahead of rivals such as the Moto G, while in other areas it's quite comparable with that very capable handset. The trade-off, however, is that the Moto G does get stock Android and timely updates, while Samsung's Galaxy J5 has TouchWiz on-top and requires a bit of extra fettling between software versions. The third-gen Moto G just retains its place in our budget smartphone affections thanks to its classier looks and build quality as well as its clean version of Android and waterproofing. Even so, the J5 has a lot going for it and is a very good alternative if you want a better looking screen and a replaceable battery. Best in class of the budget Android category; you will struggle to find battery and display performance this good anywhere else at this price. The Moto G series has been the gold standard in budget smartphones, but the Samsung Galaxy J5 is a great alternative thanks to its superlative screen and long lasting battery. It's an excellent choice for anyone who's looking for quality on a budget. Having said all that, it’s worth waiting for the new 2016 Moto G4 (the fourth generation Moto G) which is due any day now. Unless you need a cheap phone right away, it’s worth waiting to see if the now Lenovo-owned Motorola can continue its success streak. With better performance and a longer battery life, Samsung’s updated Galaxy J5 is a low-cost marvel android 7.0 smartphone. Samsung Galaxy J5 (2017) brings many improvements compared to its successful predecessor and this makes it more than accomplished model. First of all, the device comes with an entirely metal design which is not always seen in this price range. There is a fingerprint sensor built in the hardware Home button. It is quite surprising that we don’t find a USB Type-C port but this is a drawback which can be ignored. Samsung's alphabet soup is making less and less sense. Here we have the Galaxy J5 (2017) that's got a premium metal build, a frugal 14nm chipset, an excellent Super AMOLED display, and Samsung's latest software. How is that lower midrange? Samsung Galaxy J5 Pro has 4G supported device with some mid-range features. The device is especially for Samsung lovers because other device lovers will have some issue with its price which is a little bit expensive compared to other smartphones. It has one of the best interfaces around: sleek and modern-looking, it has Samsung’s excellent apps, and it has a very solid battery life. But its camera and, most importantly, performance are underwhelming. The phone often feels stuttery and the camera lacks in detail and speed. And we know the terrible state of Android updates for phones like the J5 (2017). In such a fiercely competitive market, the J5 (2017) does too little to stand out. Ist das abgespeckte Galaxy zu leichtgewichtig? Positive: Good price; metal case; nice design; decent cameras. Positive: Impressive design; excellent cameras. Negative: Relatively high price. Positive: Excellent display. Negative: Weak hardware. Positive: Nice design; metal case; long battery life; fast fingerprint sensor; good selfie camera. 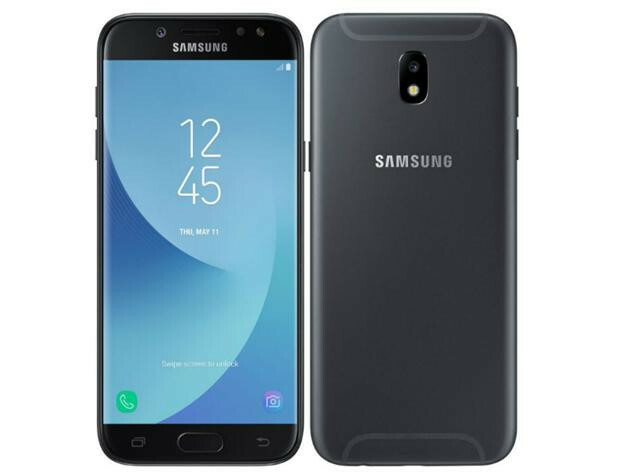 Negative: Poor display; Mediocre speakers; no notification LED; no USB-C.
Samsung Galaxy J7 e Galaxy J5 (2017), será que valem a pena? Positive: Great built quality; nice display; decent cameras; good hardware. Negative: Short battery life; relatively high price. Positive: Solid workmanship; stylish design; excellent cameras; good connectivity. Positive: Excellent display; long battery life; good price. Negative: Low performance. Positive: Premium design; good built quality; excellent display; decent cameras; long battery life. Negative: Poor display; average performance; relatively high price. Positive: Solid workmanship; support both dual sim and microSD slot; good selfie camera; decent hardware; fast fingerprint sensor. Negative: No notification light; no optical image stabilization; poor display. Positive: Stylish design; great built quality; nice display; support LTE; fast fingerprint sensor; good connectivity; long battery life. Negative: No Always On Display Mode; high price. Positive: Metal case; solid workmanship; excellent display; good cameras; nice performance. Negative: No full HD mode. Positive: Long battery life; modern design; support memory card slot. Negative: Average performance; poor display; poor cameras; weak hardware; relatively high price; no USB-C. Positive: Powerful hardware; high autonomy; good price; metal case; nice display. Positive: Attractive design; metal case; fast fingerprint sensor; nice display; high autonomy; decent hardware; good cooling system; nice cameras. Negative: No USB-C. Positive: Nice display; long battery life; good price. Positive: Excellent display; long battery life; good price. ARM Mali-T830 MP2: Integrated graphics card for smartphones and tablets with two clusters (MP2) supporting OpenGL ES 3.2. Only some 3D games with very low demands are playable with these cards. » Further information can be found in our Comparison of Mobile Graphics Cards and the corresponding Benchmark List. 7870 Octa: Exynos 7 Soc with eight Cortex-A53 cores clocked at up to 1.6 GHz and manufactured in a 14-nm process. Includes the GPU ARM Mali T830-MP2 as well as a dual-channel memory controller (LPDDR3-1866).» Further information can be found in our Comparison of Mobile Processsors. 77.3%: This rating is not convincing. The laptop is evaluated below average, this is not really a recommendation for purchase.